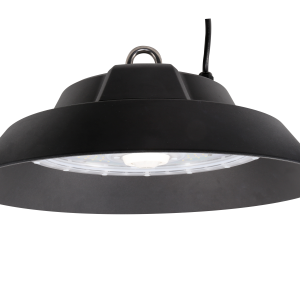 Smart series high bay is well designed with Philips chip and Meanwell driver. This fixture is specially designed for food processing plants as well as very dusty and dirty areas. Its a patent design and anti glare design to minimize the glare as well as to optimize the light performance. Highly efficient up to 140-170lm/w options. It works with Zigbee, Dali and motion sensor to maximize energy saving and warranty from 5-10 years. 100, 150, 190 watts available. LED-SOLAR ENERGY LIMITED is a locally owned company, focused in importing high quality LED lighting to New Zealand market. ALT-LED: A Lighting Technology with Light Emitting Diodes is a way to save our energy and cost on power bills. 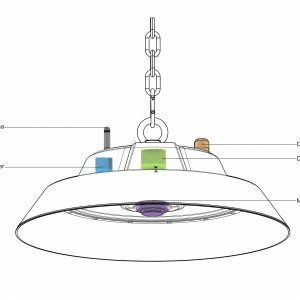 Most application are such as Warehouse, factories, car parks, halls, food manufacturing, meat plants, covered car parking, Insulated panel ceiling lighting, retrofit for metal halide and sodium light fitting.